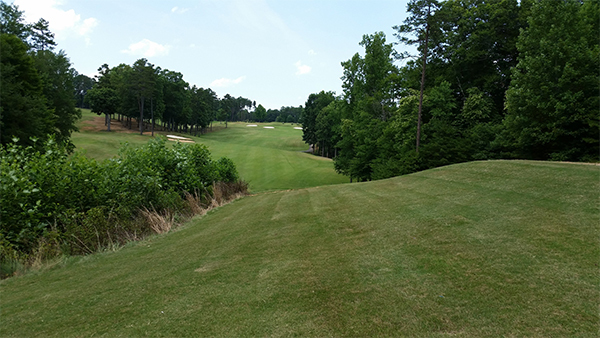 A wide open tee shot awaits you on this 503 yard Par 5. But, your tee shot must carry a long hazard to reach the fairway. 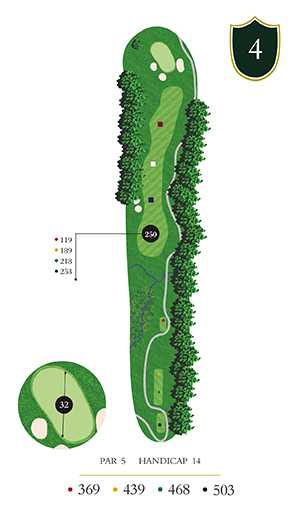 Your second shot is uphill to a large green protected by three bunkers. This hole is considered a birdie opportunity.